Well, it looks like I wasn’t good at updating every day, but I’ve been working hard! Tuesday: Finished scene: 550 words. Saturday: Finished revising third scene for Magic Milkshakes. Well, it’s Tuesday morning, but I do have progress to report from Monday. I started a revision of my “Magic Milkshakes” story; starting in the middle, because I’m a little blocked on the new beginning, but I got 404 words written, (not feeling lost at all 😉 ) and like the scene so far! I also sat in on the first day of critiquing for the Young Gunns writing workshop, (not a “short story workshop” as Chris M said, though short stories are the format he uses to teach writing,) and gave critiques for three stories which were well received I think. Today I’ll be auditing less, (though James Gunn is doing some talks that I want to attend,) so hopefully I’ll be able to keep writing more for this story! Will keep you all updated. Hey friends and followers–I know, long time no blog. It’s been a kinda busy time–a few publications, starting a podcast, and so on. But here’s a new thing! Nancy, how is November going for you so far? Word counts and keeping up with life, they are juxtaposed and tied together this month. This is my second nano and I’m not sure how I found out about it. I must have wandered upon it because I wasn’t at all prepared. I won, in 11 days, but I wasn’t prepared. I wrote a big chunk of my first novel last year, and am doing so again on the sequel. On my documents, a zip drive I can carry anywhere or rescue quickly and on Drop Box. But the most secure is when I email to my father to keep the files on his computer. No chance of him changing them there. Keep it simple. If you’ve never written a book and the thought of “craft” is too much to do before you get your story on the page, just write it out. Here’s a simple and easy way to start. Write 3 sentences describing your story, beginning middle and end. Write a paragraph describing each of those 3 sentences. You now have an idea, a synopsis and when you write 3 hundred words for each one of the paragraphs, you then have a complete plot. Your story line is done in enough detail that you should always know where you are going, and the end is in site the entire time. There is so much made of ‘craft’ and how first drafts are ‘crap’. I don’t understand why writing to get a word count is more important than telling the story. If this happened in the first chapter, what happened next. Write it down. If you sit at a campfire to tell a story, do you fill it with words to make it longer or do you use words to move it along to completion. Katytastic has a 3part, 9 section and 27 chapter outline that she covers in a video. I used that to ‘rechart’ the hero’s journey and then wrote my story. It helped with visual organization and made the story structure easy to track and follow. I’d recommend it to just about anyone. Sneaky Ninja question! Out of your favourite fictional characters, who’d make the best sneaky ninja? I’m not sure what a sneaky ninja is , but Undine Sprague of Custom of the Country can and will do just about anything to get her way and she is one sharp woman. Whenever the fate of humanity is at stake, Satan is there. With a woman. Phoebe doesn’t believe in time travel. She’s never evaded a SWAT dragnet, been hunted by drones or sold for half a kilo of cocaine. She’s certainly never met a God-hating Angel. She’s just an orphaned nobody from an L. A. girl’s home. But on her eighteenth birthday the rich, the powerful and the perversely demonic come to vie for her ancient magick and for what lurks in her DNA. When evil forces kidnap the wrong women, Phoebe launches a mission to the bowels of the earth, where she finds the Chamber and an evil hidden for 13,000 years. While the fabric of time hangs in the balance, she fights her own demons and discovers enemies, allies and where in time she’s safe from the vengeful Watchers. Phoebe must prevail over evil, before something decides to eat her. Programming note: I’m still looking for Spotlight interviewees for this year! Post a comment or email chriskelworth at gmail dot com if you’re interested. 2016 will be my 11th year participating in NaNoWriMo, and my 8th year serving as ML for my region. Shortly after finishing my first novel (which took double digit years). 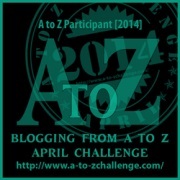 I heard about NaNoWriMo from a writer on a fan fic site on which I was participating at the time. Writing a novel (albeit a really rough draft) in 30 days seemed like an outrageous prospect given my prior experience. As it turns out, that was, in fact, possible! After proving to myself that I could churn out a really rough draft in a month, I decided to start taking this whole writing thing seriously – joining a critique group, learning a whole lot about writing, and later, getting published. The only year I did not reach 50K, was the one year I was building a house and I knew going in, that year wasn’t going to be a winner. However, I always enjoy spending time with my local NaNo community, which is by far, the best part of the whole challenge, so I dove in anyway. I also spent several years doing the Young Writers Program side of NaNo with elementary students. Thankfully, my children grew up and though one stopped participating, the other one has joined the adult program, allowing me to spend much more time with my adult participants and my own writing. This year I’m writing the second half to a YA Sci-fi novel I started once during NaNo as a short story that panned out into a bigger idea, and again last year as novel but then set aside to write another novel because the middle of the plot wasn’t quite clicking with me yet. I have notes this time (I’m not usually a planner), so that should help keep me on task. My daughter should too, she really wants to read the finished book. She wasn’t at all happy with me when my novel intentions got hijacked last year. If you’ve ever lost a even a day’s worth of writing, you’ll back up all over the place. The loss of your creative efforts is a severe motivation sucker. Recently an unexpected windows update and a Word auto-save malfunction caused a week’s worth of editing to vanish into the ether. I was most displeased. No one wants that any time of year, but especially not during NaNo when you’re pushing yourself so hard. Protect your words! My writing is now auto-saved to Google Drive. I also do a back up to a flash drive and a network drive every couple days. Commit to writing your novel. Which beyond making time to write every day means: Get yourself some support, either from family and friend. Get involved with your region for more support and motivation. Log in to the NaNo forums or your regional forums and glance at all those progress bars to see where yours comes in. Set up a reward for yourself when you reach 50K as extra motivation. This could be a winner shirt, guilt free time for a game, movie or show you’ve been wanting to watch/play, or dinner at your favorite restaurant. Sneaky Ninja question! Who is your favorite author ever – you have to pick just one! This answer would change widely depending on when in my life you asked the question, but at the moment, I’m going to say George RR Martin for the simple reason that even though it’s been so many years since the last book, I’m still anxiously waiting for his next one. I recently published my second novel, Sahmara, which was my first NaNo novel in 2006. It is available in print and ebook and currently free with Kindle Unlimited. Busy with their own war, the gods of Revochek lose control of the destinies of their people. The gods aren’t the only ones staring at defeat. The country is in ruins, its people killed or prisoners. If all of Revochek falls, the balance of the gods will be broken, paving the way for Ephius, the god of Atheria, to plunge the entire world into war. One young woman escapes her Atherian captors only to find herself alone, unarmed, and starving. Torn from her life of privilege and the arms of her ma’hasi lover, Sahmara is unfit for life on the run. The well-being of her family is unknown, and if Zane hadn’t been killed, he is a slave. No one is coming to save her. Desperate, Sahmara prays for help. She does not expect her prayer to be answered by an ancient woman with a thirst for blood or that her single desperate plea might be the one that rescues them all. You can find more from Jean at her blog. Thanks for sharing this with us, Jean! I believe I’ve participated in NaNoWriMo every year since 2005 or so I believe. A couple years were on accounts that have been long since lost to the ages, a couple without even using the NaNo site. Most years I’ve won. I usually do pretty well with front loading, I write a lot up front and then start to slack as the month goes on. Sort of the opposite of what I see from most people. I had a couple epic failures, one where I spent the entire time designing a solar system, all the math included. A couple successes too, Dangerous Metal was the book I wrote in 2014, which was a from scratch rewrite of a book I wrote in 2013. The rewrite on it was basically throwing out the plot, and a couple of the characters, and the genre. So I had the main character and her background and a few side characters. Everything else was rewritten for that one. Good morning everybody! I have a familiar face coming back for our first spotlight interview of the season: M.L. Millard, who was also in the spotlight back in 2014. M.L. is participating in Nano for the fifth time this year, and this time she’s a rebel… Welcome back, M.L! This year I’m finishing my Littlefoot series. Well, really part three of one book. I put the first part on Kindle, but when I’m finished with this last part I’ll put them all together on CreateSpace. I loved writing part one so much, but now I feel like I’m having to force it. I hope it’s funny anyway! Littlefoot finds herself in all kinds of mixed up fairy tale situations. In part one she was a Rapunzel with normal-length hair, a Cinderella who didn’t want to go to the ball, and more. Part three involves Jack and Jill, Camelot, and a Grimm’s fairy tale that you probably haven’t heard of but would give away my ending if you looked it up. I’m a rebel this year, only aiming for about 12,000. But I really want to finish Littlefoot! Funny you should ask. Did you have the same Windows problem I had earlier in the year? I lost everything. Luckily I had emailed myself my fiction, but I lost, among other things, my Littlefoot Part Three notes and my list of which agents and publishers I’d already sent queries to for two of my non nano books. I really need to get one of those automatic backup plans. Okay, let’s do this, one more time! 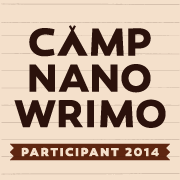 The Nanowrimo website has refreshed, and I want to do some more interviews with people who are doing Nano here in my blog. The interviews will start going up as soon as I can get them coming in, and will run through November 30th. If you’re interested, either leave a comment (with an email address I can use to get back to you,) or email me at chriskelworth at gmail dot com! What’s involved? I’d like to get a little background from all of my interviewees about their level of Nano experience. I’m going to ask a few standard questions in each interview, along with one sneaky ninja question to try to take you off guard. 😉 I’d also like everybody to include up to 200 words to tell us about yourself, your Nano novel, or something you’re interested in, or shamelessly plug your website, your book, your twitter feed, or whatever. For extra visual appeal, you can include a small image (400*400 pixels, or I’ll shrink it down myself) to serve as a visual aid to your answers, help you promote something, or share a picture because you think it’s cool – but no photographs of yourself, please. Think outside the box! Pictures and 200 word blurbs are not required. If you’d like to take a look at some of the interviews from last year, you can find them here. You can take some time to answer your questions over email, but hopefully you can get back to me within a week of getting the interview. You don’t need have your own blog or link back to me; if you’re doing Nano and interested in filling out the interview, I’d love to spotlight you. Thanks all, and I’m looking forward to doing this one more time.